R1999, Ron Betzer. 32", M. Falls dark honey, veined and overlaid bright amber, orange buff edge. Standards orange buff. Lime green steeple signal. Style arms orange buff, infused black and green toward base. Lightly ruffled. Louisiana Teddy Bear x Gladiator's Gift. 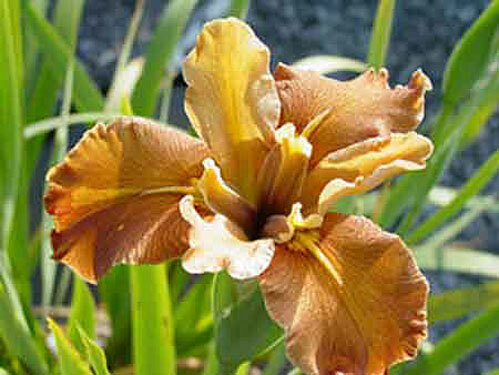 Nice iris and an unusual color.